Cycling is the new golf, and lots of folks are hopping on their bikes at the weekend to get a bit of fresh air and exercise with some chums. 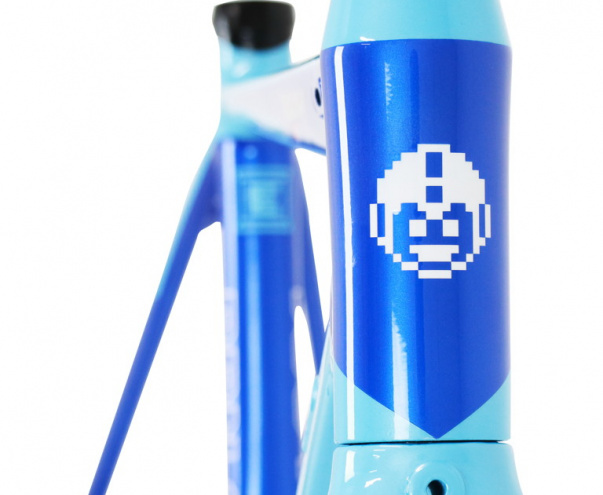 While many of the popular cycle manufacturers such as Giant, Specialized and Cannondale offer some striking designs for their range of road bikes - if you want to display your love of all things video games while tearing up the tarmac you are kind of out of luck. 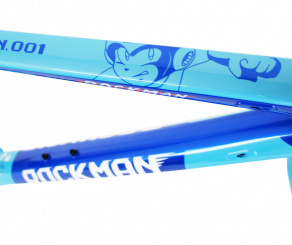 Enter Japanese cycling brand KhodaaBloom who has teamed up with Capcom to offer a road bike worthy of the Blue Bomber himself. 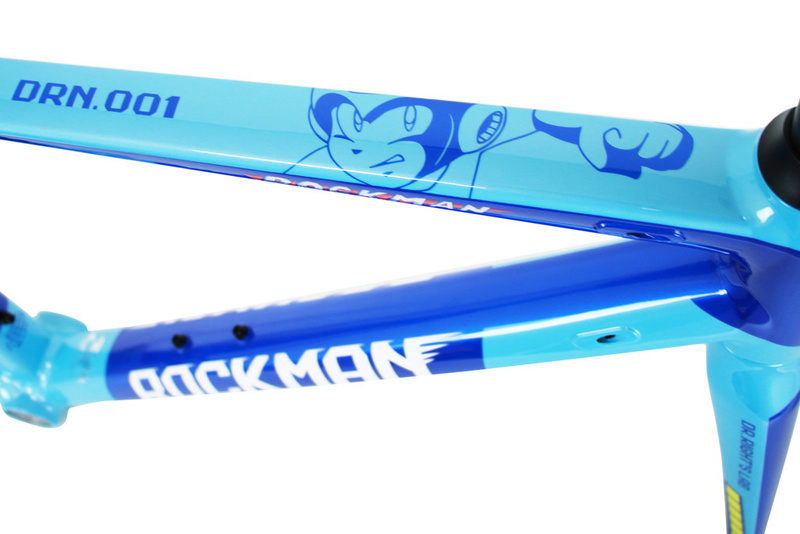 We can't think of a more fitting way to celebrate Mega Man's 30th anniversary. 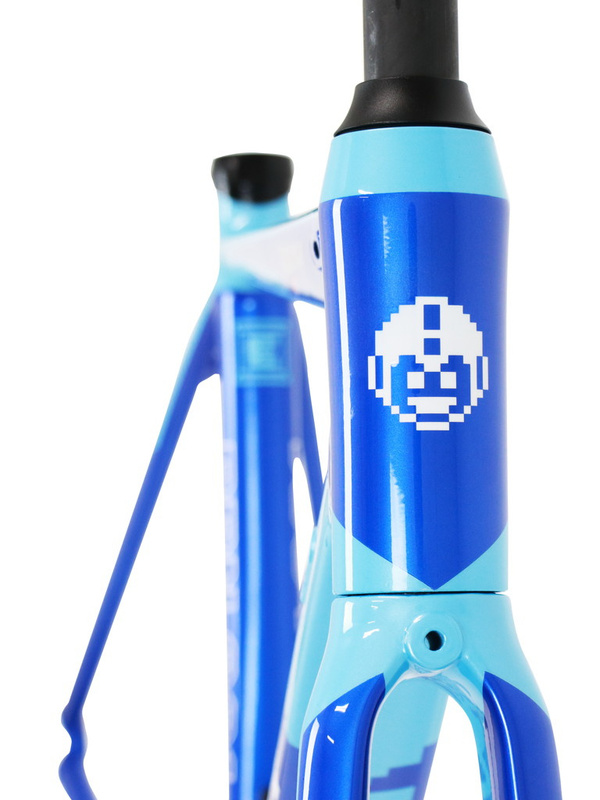 The bike comes with a Mega Man blue paint job, but also features neat touches such as E-cans, a 1UP icon on the front and the iconic energy bar on the forks. The bike only just went on sale a few days ago in Japan and is priced at 290,000 yen ($2,720 / £1,942). This is said to be the world's lightest aluminium racing bike with a weight of 7.8 kg... but anyone who knows a proper road cyclist will know they will only spend this kind of money on a carbon frame! In addition to the bike, a range of special cycling jerseys will also be released by a brand called Wave One. These will feature Mega Man, Proto Man and Forte themes so that you can have a bit of rivalry with your friends on the road. 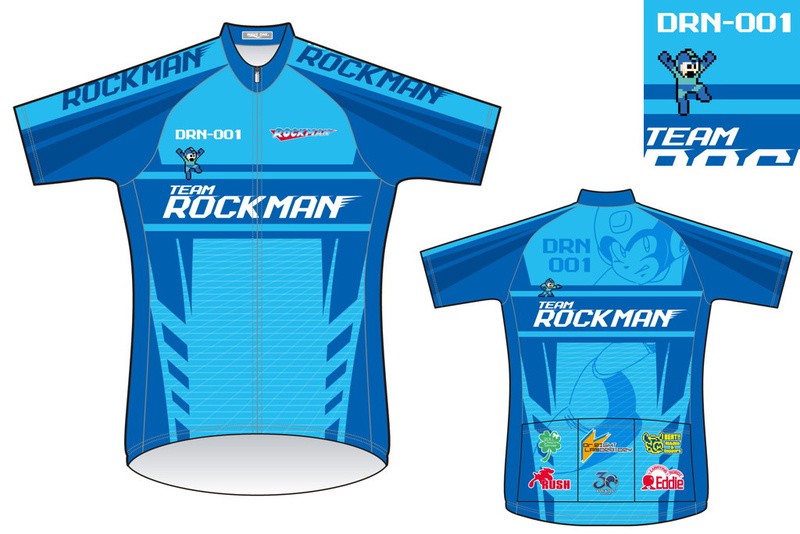 Let us know what you think of this lovely road bike and cycling jersey with a comment below. Would you pick these up if they were sold in Europe and North America one day? That's a job for Lega Man. I prefer mountain bikes and I wouldn't be caught dead in Lycra. The designs do look nice, however. 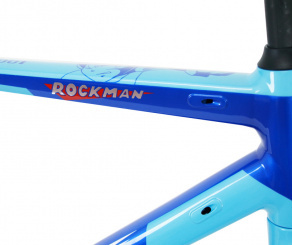 It does seem a bit pricey for a 105-specced aluminium bike. I mean, 105 is a great group set, and aluminium is a great material, but their main virtues are that they can offer most of the perks of the high end stuff (Dura-Ace and carbon fibre) at a significantly lower price point. 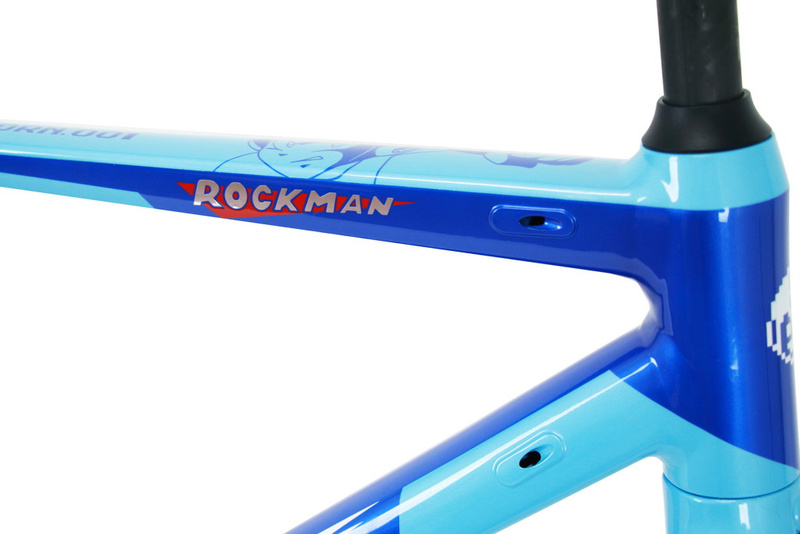 The main problem with this bike - despite its beautiful Blue Bomber paint job - is the lack of significantly lower price point. I'd hope for a decent carbon frame with 105, or the same frame with at least Ultegra if they're going to be asking just shy of two grand for it. But then what do I know? Maybe its tricked out with some next level Dr. Light tech and can shoot lasers or something. That's cute. Odd, but cute. What kind of a category is "Awesome"? Looks nice! Just a shame I have no use for a bike or biking gear. Oh well.